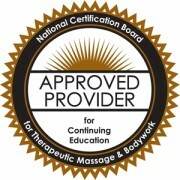 Take this Massage CE Course and Accomplish What You Want in Your Massage Practice! Giving inner gifts a shape. 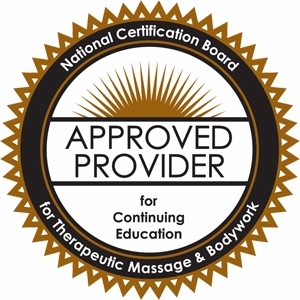 What’s really powerful and important about a massage therapist is their inner gifts…qualities such as Inspiration, Strength, Creativity, Patience, Courage, etc. But what good is it to have Creativity if you never take some Creative action? What good is Inspiration if you don’t find some Inspirational way of expressing it? Often we get tangled up somewhere between knowing we have a gift in our Heart and getting it into our Healing work. It doesn’t come out at the right time or in the way we planned…and clients aren’t impressed with haphazard results. Defining is the process by which you give these inner gifts the shape you intend them to take in your work. These classes lay out the simple steps necessary. Plus the personal examples you get in class postings help bring it all home to you! Get all the Support you need! Aside from the classes and at-home readings, you get the support of a Mentor whenever you need…and there is even a Workshop on CD that you can purchase, if you choose. Learn to fully bring out your inner gifts and allow each new piece that you discover inside you to fit together like a puzzle. You can do it and we can help. These teachings give you tools you can use everyday in your work and personal life! Accomplish what you want in the world – by DEFINING. Learn the defining process so that you can have clear, meaningful interactions with people and accomplish what you want to do in your practice. Never get tangled up again! You will see how to actually shape the experience that comes out of you – through conscious INTENTION – to exactly match the picture in your Heart! What is the purpose of a Heart Definition? How can you tell a Heart Definition from an Ego Definition? What does a Broken Definition mean? How much detail should go into Relationship Defining? How to save yourself from lost focus through correct Defining, Redefining, and Refining. Let your heart define for each and every situation. Include all parts of yourself in a definition that includes the good of the whole. Honor sacredness in each definition you make. Bring honesty to spiritual, mental, emotional and physical defining. Deal with the changing dynamics of each relationship. 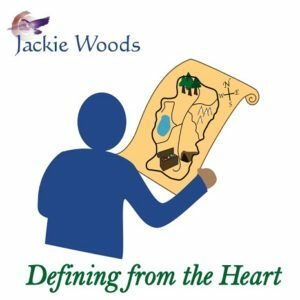 Define the purpose of a heart definition and how to make it the subject of your life. Distinguish between a heart definition and an ego definition. Compare a personal definition with a definition that is for the good of the whole. Describe the components of a broken definition and how to repair it. Identify the size of the heart quality present in a relationship and how to choose supportive details. Discuss the process of defining, redefining and refining.